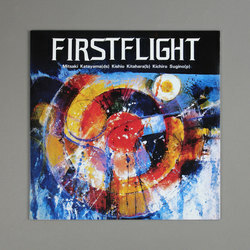 Mitsuaki Katayama Trio - First Flight. Vinyl LP. Bleep. Studio Mule come through with another superb Japanese jazz reissue. 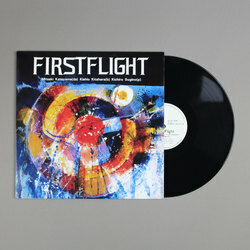 For their latest trick, they’ve breathed new life into the Mistuaki Katayama Trio’s 1979 LP First Flight. This is a vibrant record that places emphasis on groove even when the musicians are deep in the improv. 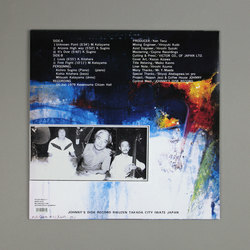 ‘Unknown Point’, for instance, is a highly energetic fusion jam that comes across like a souped-up version of something from Eiji Nakayama’s Aya’s Samba (like First Flight, Aya’s Samba was another album originally released on Johnny’s Disk Record and recently put out again by Studio Mule). Elsewhere on the LP ‘Arizona High Way’ and ‘It’s Over’ wed neck-snapping beats to elegiac lounge piano and melodious double bass.